Friendship is like a fine wine; it takes time to mature and settle. 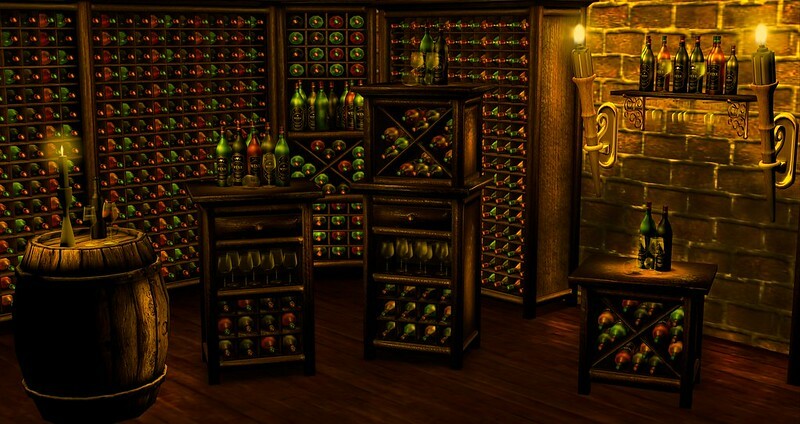 NEW MoonSha – Wine Cellar by Catherine Ashmoot @ We ❤ Roleplay. Astralia – Royal SPA suite (torch – gacha) by Astralia. ~Bazar~ Forest Dining Set by Ria Bazar. [-BLUE SKY-] “Wine Bottle – Merlot” by Luca Python. DaD DESIGN “Rustic wood Barrel” (Former TCF gift) by Sheerpetal Roussel. The Loft – Alderan Candle by Colleen Desmoulins. Next Next post: The sea is my favorite melody.